Rent The Tech Museum of Innovation | Corporate Events | Wedding Locations, Event Spaces and Party Venues. The Tech is not just a museum, it’s an adventure. In fact, The Tech may be the most exciting thing to happen to the South Bay in years. Impress and dazzle event guests in a unique venue that will inspire the innovator in everyone. 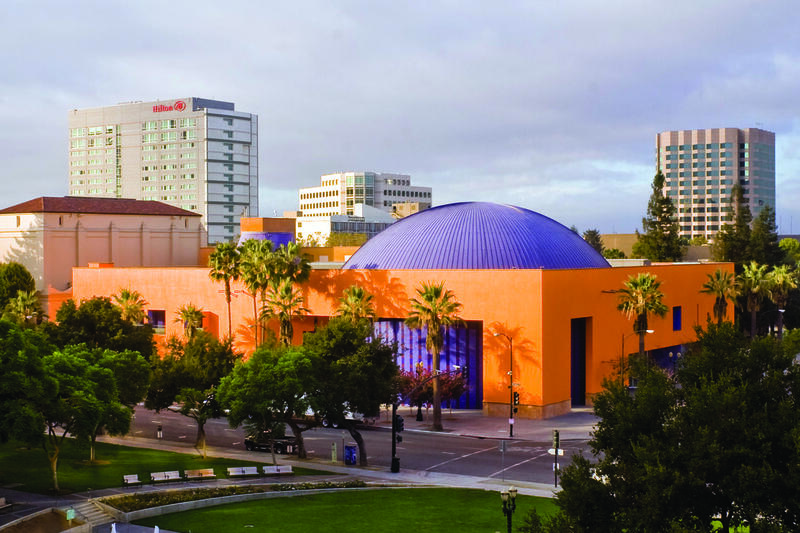 The Tech Museum of Innovation reflects the creative spirit of Silicon Valley in over 100 high-tech, informative and interactive exhibits. Events are held in the museum lobby, the New Venture Hall, the eight major exhibit galleries, and the Hackworth IMAX Dome Theater. You can reserve any combination of spaces or rent the entire museum. Multiple options are available for daytime or after hours events. The Tech Museum was little more than a dream in 1978 when the Junior League of Palo Alto - and later the San Jose Junior League - formed a plan to create a dynamic learning center devoted to science and technology. Twelve years later, the Garage opened in San Jose in the space of the former convention center on San Carlos Street. It quickly became a valuable educational resource for children and adults. Eight years later, The Tech moved into a dazzling 132,000-square-foot mango and azure colored building, unlike any other in the Silicon Valley or the world. The Tech has become a landmark for visitors seeking a glimpse of the most inventive place on Earth - Silicon Valley.